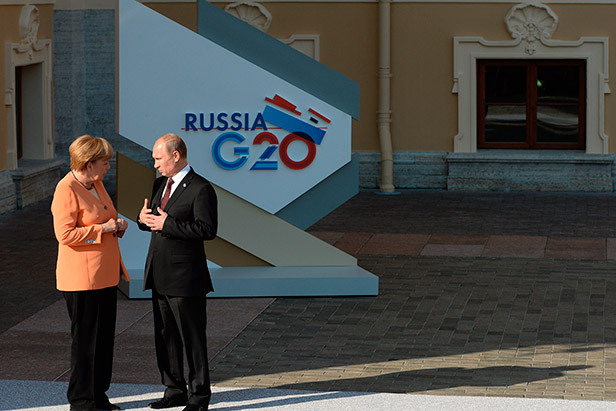 With the high risk to be overshadowed by Syria, the G20 summit in Saint Petersburg will also be seen as a crucial test for the multilateral mechanism for regulating global economic growth and development. While what is at stake in Syrian crisis is the fate of the war-torn Arab nation, the Saint Petersburg summit raises the stakes even higher. 2) The war in Syria: the ghost of another Vietnam? G20 summit in Saint Petersburg by no means looked like an easy ride for President Obama. After a long period of abstaining from the decision on US military intervention in Syria, days before Saint Petersburg meeting of 20 world leaders Barack Obama has signaled he was ready to cross his Rubicon. In a keynote address, made in the Rose Garden of the White House, President announced that he had opted for a limited military strike against Damascus. He added that the United States would act even if they fail to secure the support from their key allies. The conservative German Chancellor Angela Merkelis seeking a third term at the helm of Europe's biggest economy. If reelected on 22 September, Merkel would become Europe's longest serving female leader. Merkel won a narrow victory this week over her main political rival in a tense live televised debate in advance of the German elections on 22 September. Of the estimated 20 million viewers of the clash between Merkel, for the Christian Democrats, and Peer Steinbrück of the Social Democrats, 44% declared the chancellor to be the winner, while 43% chose her opponent.